Michael Georgiou is set to change his nationality to Cypriot and, once his playing days are over, intends to work on developing the grassroots of snooker in Cyprus. Georgiou is currently ranked 97th in the world and has scored some fine results on snooker’s global circuit over the past two years, including wins over former World Champions Graeme Dott and Peter Ebdon. 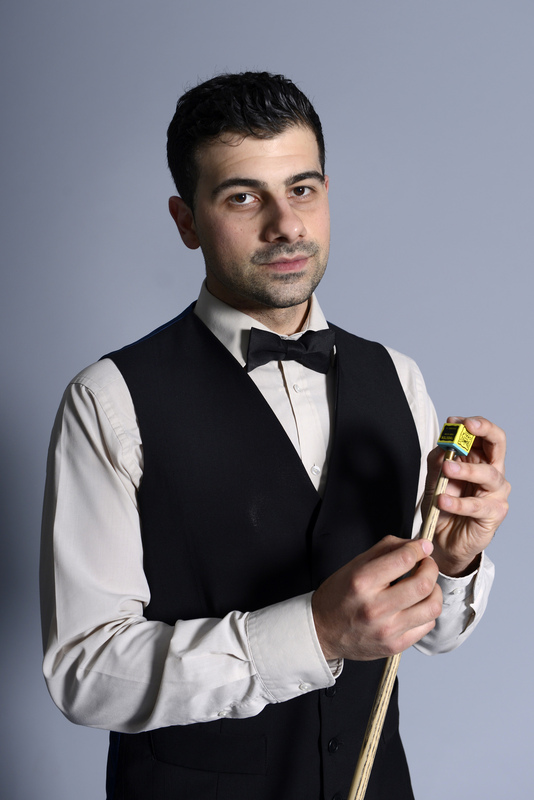 Georgiou first played snooker at the age of nine and showed his potential in 2008 when he won the World Under-21 Championship. His first spell on the pro tour lasted only one season, but after a few years away from the sport he regained a place on the circuit in 2014 and now travels the world competing against the best players for total prize money of £10 million. “I am making steady progress and gaining experience all the time,” said 28-year-old Georgiou. “When I first joined the tour I was out of my comfort zone and found it hard. Now I’m enjoying it more, winning a few matches and gaining self belief. Georgiou’s grandparents moved from Cyprus to the UK during the 1950s, and although he and his parents are currently British, he remains in touch with his roots. He has lived most of his life in London but will soon initiate the process of changing his nationality. “I’m very proud of my heritage,” he said. “I love Cyprus, it’s a beautiful place and the people are so hospitable. One day I would love to open a snooker academy in Nicosia and help the sport to grow there, in the same way that Tony Drago has done in Malta. “I am in touch with the President of the Cyprus Snooker Federation – he recently posted an article about me on their website and it was viewed by 14,000 people, which is a lot in a relatively small country. At the moment there are only two snooker clubs in Cyprus but I know people are watching it on TV there and I believe there is a lot of potential for it to develop. “There are very few coaches there with the ability to pass on knowledge and improve the standard of players. I would like to remain a pro player for a long time, but eventually I see myself going into coaching and helping bring new players through in Cyprus.